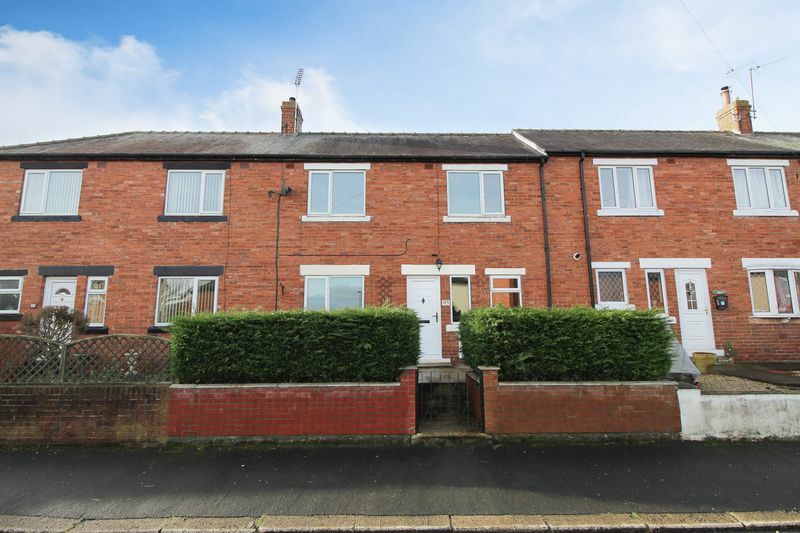 An immaculately presented three bedroom mid terrace house, much improved by the current owner and offering affordable family living. 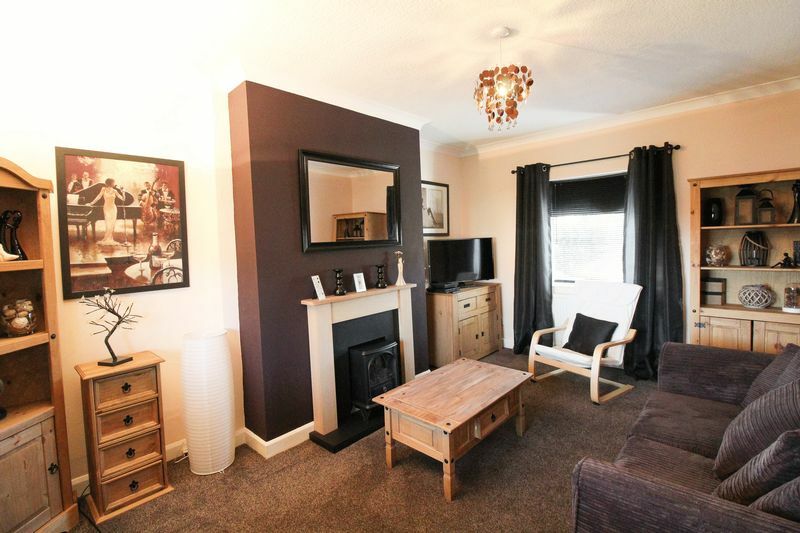 The property also benefits from a very good size enclosed rear garden, offering lawn and patio seating areas. 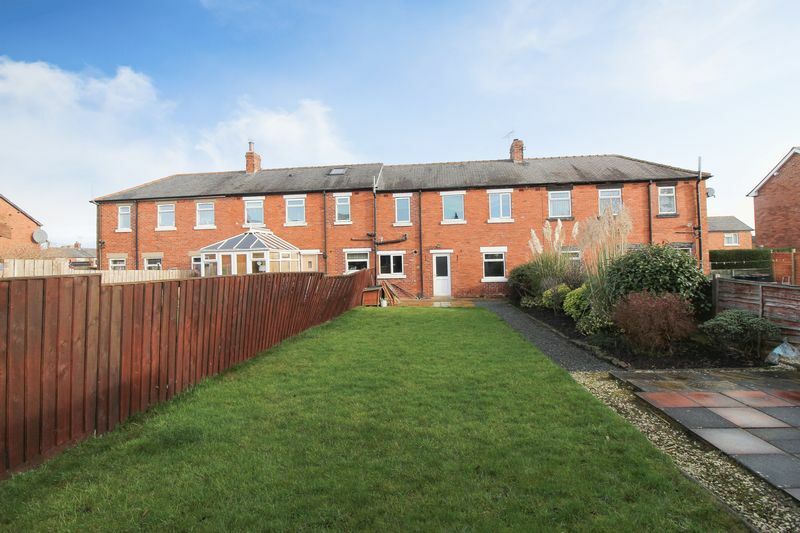 Located close to the centre, the property also affords ease of access to schools and the Ripon bypass. 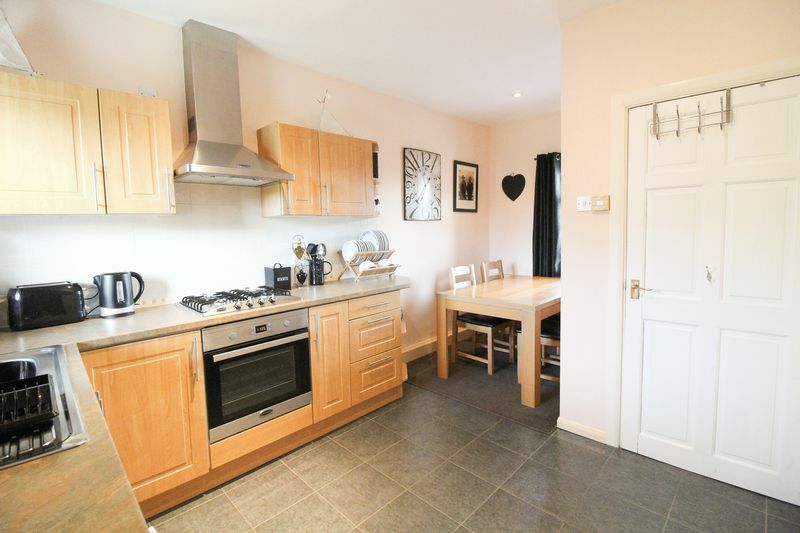 On the ground floor there is an entrance hall, double aspect living room with fireplace and a kitchen/diner, once again offering a double aspect. 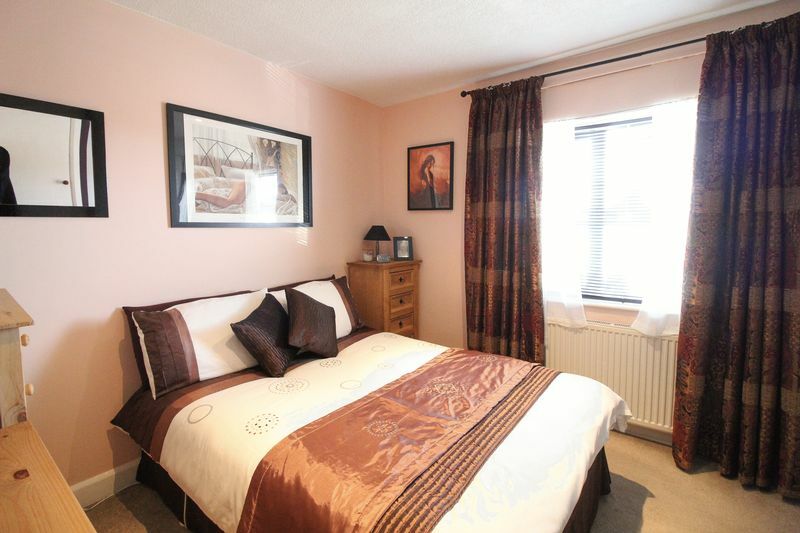 On the first floor there is a landing, three bedrooms and a modern house bathroom with bath and shower over. 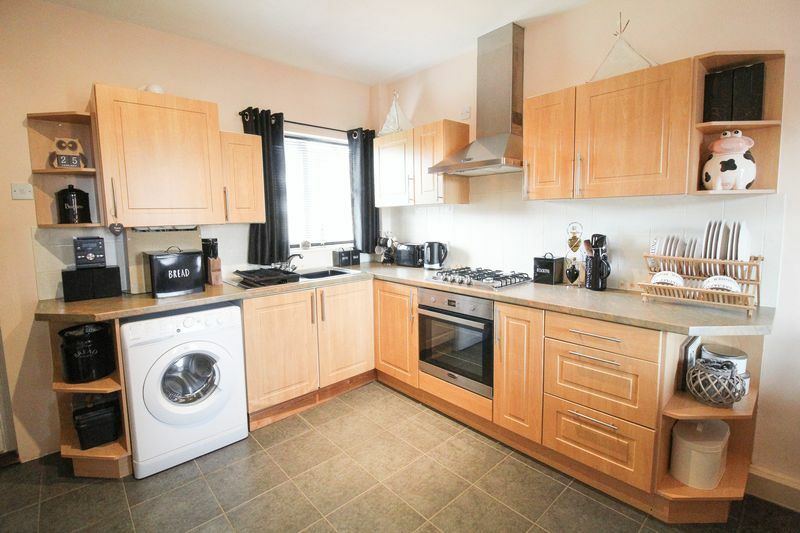 Externally the property offers a low maintenance paved front garden and enclosed rear garden with handy storage shed. 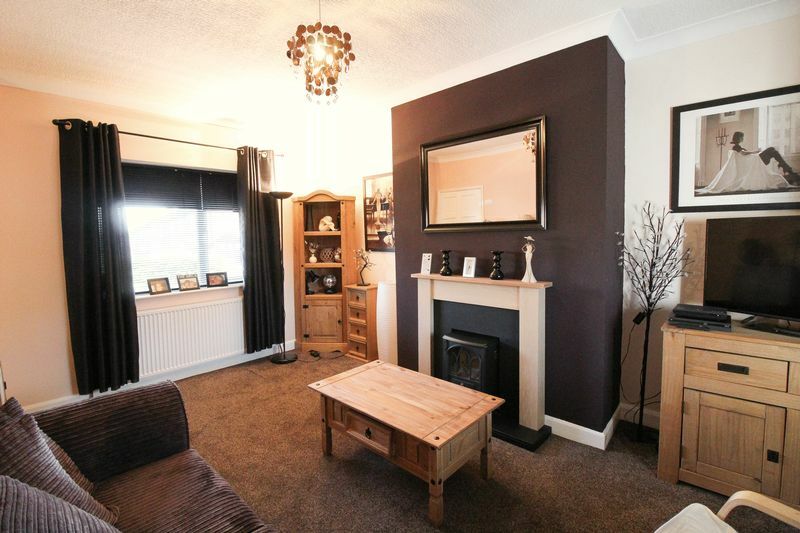 Offering a double aspect with double glazed windows to front and rear elevations, fireplace with electric fire, two central heating radiators. Once again offering a double aspect with double glazed windows to front and rear elevations, half glazed door leading to the rear garden, fitted with a range of wall and base units with contrasting rolled edge work surfaces and tiled splashbacks, stainless steel oven with four ring gas hob and stainless steel extractor hood over, space and plumbing for washing machine/dishwasher, space for fridge/freezer, stainless steel sink with mixer tap, central heating radiator, under stairs storage cupboard, tiled floor. 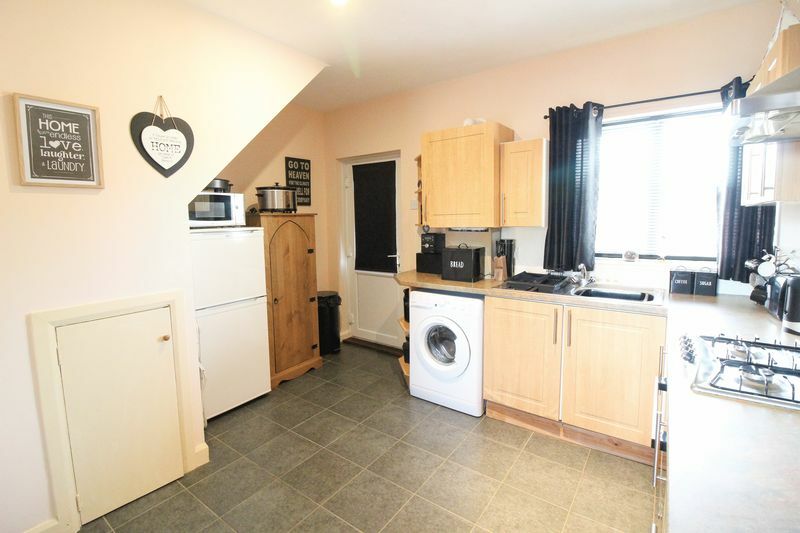 Central heating radiator, double glazed window to the front elevation, double doors into fitted wardrobe, further overstairs storage cupboard. Double glazed window to the front elevation. central heating radiator. 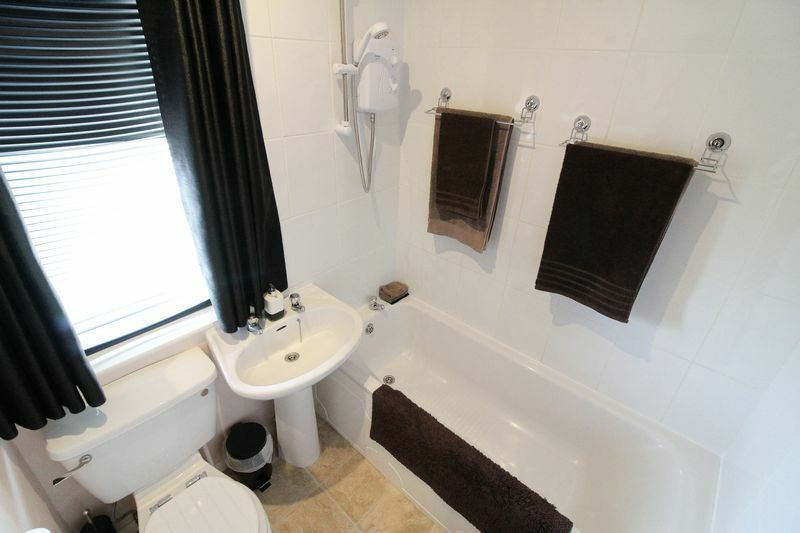 Fitted with a white suite comprising a wash hand basin, toilet and bath with Triton shower over, tiled splashbacks, central heating radiator, frosted double glazed window to the rear elevation. 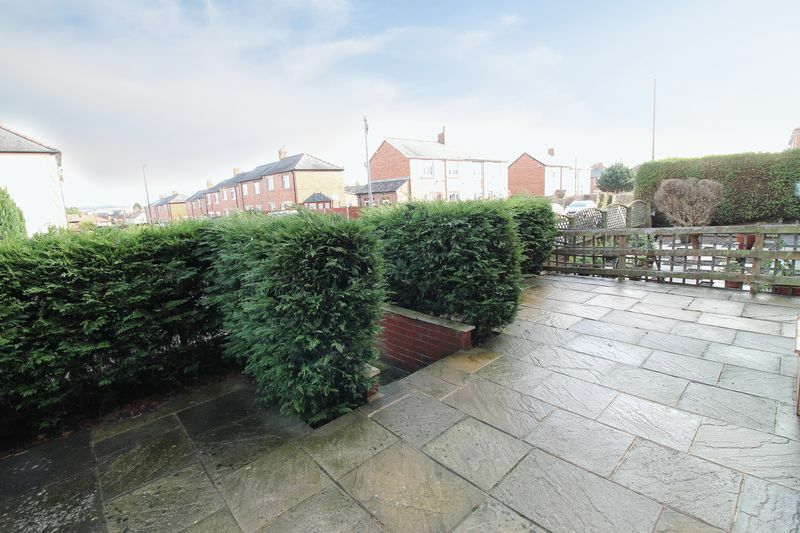 The front of the property offers a low maintenance paved garden, with hedge boundaries and steps leading up to the front door. To the rear of the house there is a very good size enclosed garden with fenced boundaries. 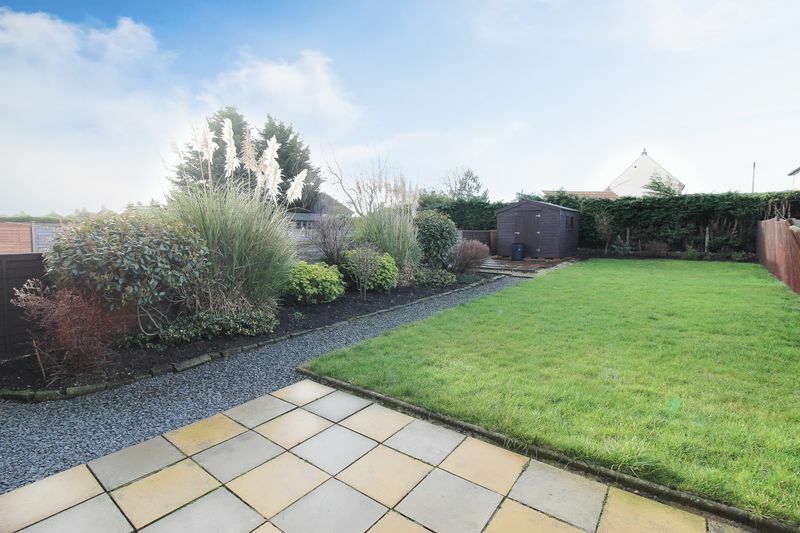 The garden is mainly laid to lawn, with stocked borders, extensive patio seating areas and handy storage shed.